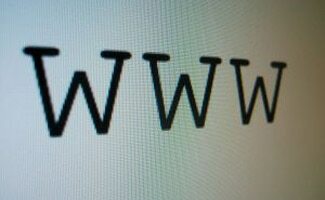 Home > Tech > Web Development > Domain Names > Should You Have Keywords in Your Domain Name? This is a long disputed question in the search marketing community, the answer of which depends not only on how different search engines treat keywords in your domain name, or URL, but also the size of your advertising budget, and other factors. The term keyword stuffing, referring to pages that are artificially inflated with keywords, applies also to domains that are stuffed with keywords, in the fashion keyword1keyword2keyword3.com. Instead of going into a lengthy analysis of keywords in the domain name, however, we’ll point out two approaches to identifying your target audience that should help you decide how to shape your domain name. In the end you will see that the consideration of whether or not to include keywords in your domain name is not the most important one. Who will be visiting your website? And how will you attract visitors? Large corporations that have giant branding budgets can afford to successfully market and brand made-up names such as Amazon, Google, Target, Sears, etc. These names are short, simple, and easy to remember, and supported by their large advertising budgets companies are able to spread their names in front of millions of people, and rerun advertising that burns (brands) the names into people’s minds. How Large is Your Advertising Budget? But what about hobbyists and smaller businesses that do not have large advertising budgets? Their advertising campaign may be largely run online, where customers are attracted through newsletters or blog postings, for example. In these instances the customer’s contact with your brand will depend largely on the effectiveness of your content (the amount of visitors you can draw in through the SERPs (Search Engine Results Pages)), in addition to traditional marketing methods. Since users will be clicking through to your website, the nature of your domain name may not play as big a role as you think. However, the keywords in your URL still help influence and shape your corporate identity. 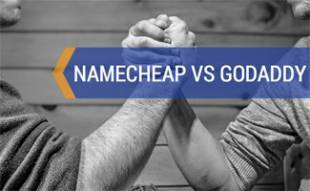 Branding budgets aside then, let’s see how we can successfully brand a low-budget domain name. Selecting a domain name is an important and fairly permanent move (although with the advent of Google’s Webmaster Tools it has gotten easier to move and re-index your site should your domain name change). Your link popularity and branding will be based on the domain name you have chosen, so it’s important to choose right the first time and avoid having to change (and lose branding and linking popularity) once your name is firmly established in the marketplace. While it may be true that search engines take into account keywords in your domain name, it’s important to consider how much traffic that will really get you in the long run. At the time of this writing, domain names have become quite sparse, and the odds of registering a domain name that also has high search volume for its keywords is slim. Google owns the majority of the search engine market, with Bing and Yahoo trailing far behind. From our in-depth research of the effect of domain-name keywords on search engine rankings, we’ve learned that in general, search engines do credit you for the keywords in your domain name, but that’s primarily so your customers can find you (ie. by the name of your business). However, more important is the competitiveness of those keywords. A very generic, competitive keyword domain name, such as chocolate.com, will still be very difficult to rank for. In other words, not everyone searching for “chocolate” will see your website as the #1 result. It takes lots of work to get any website, regardless of keywords, to the top of the SERPs (Search Engine Results Pages) for competitive, highly searched for keyword phrases. 2013 – Google’s Keyword Tool is officially gone. Keyword Planner has replaced the Keyword Tool’s place. Keyword Planner has many of the functions that the Keyword Tool had along with many other new features. Keyword Planner can be used to find new keyword and ad group ideas, get performance estimates, and add them to your campaigns. This being said, one of Google’s oldest tools for webmaster has officially been removed. Google page rank toolbar hasn’t been updated since February 2013. Usually this gets updated every three months. Some believe that this could be an end to the toolbar. When asked about this, Google responds with “no comment”. Some algorithms are being updated daily instead of having one big change on a certain day. This makes it easier for people to see the small changes and gradually adapt instead of going through one large change. However, the Penguin and Panda algorithms continue to have big update releases. In the end, the sites with quality content, organized in quality fashion, with quality branding, gain the highest rankings because they are quality sites. You can spend your time trying to keep up with search engine technicalities, or you can focus on your content, web design, and advertising to promote a quality brand that, because of its high quality, people and search engines alike will want to discover. Easy to Remember – your domain name should be catchy, simple, and easy to remember. Remember that people will need to type in your domain name. You should therefore take into account potential misspellings and keep it short to avoid typos. Makes Sense – you want your domain name to make sense, to reflect what it is you do. Since you haven’t had the money or time to make people understand what yabaloo.com means – you will need to create a name that makes sense right off the bat without having spent money on branding. An example would be bluewidgets.com – your customer automatically expects to find blue widgets. 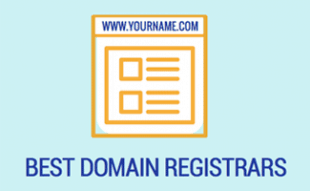 .COM – ideally (unless you live outside the United States), you’ll want to register a .com (dot com) domain name, because that’s what people default to when typing in a domain name. Additionally, it helps to avoid hyphens if possible. For more tips on finding the optimal domain name for your website, see our article on choosing a domain name. So i’m thinking of a niche review site, someone has bought the .coms with review in the domain but don’t seem to intend to make anything of them, I think they’re domain flippers. I don’t have the 1000 bucks it will require to buy and this is my first try at making a website let alone an affiliate website. So here’s my question, should I buy the review one with a .org or .net? Or should I remove the review and just add something like guru? For example hamsterwheelguru.com vs hamsterwheelreviews.org/net? This is a great question, thanks for asking! Having “reviews” in the domain name may give you a little boost for that term over time, especially if you’re writing mainly “review” content, which it sounds like you are. On the other hand, from a branding perspective, guru is great and .com is king, so this is a tough one. Personally I would probably go with the guru/.com version. If you decide to go with review, I would go .net, not .org (.org was intended for organizations (such as schools, open source projects, non-profits, etc.)) despite the fact that it’s not used that way in reality. If you want to use the contact form to send me your actual domain choices, I may be able to give a more informed opinion. Good luck and let me know what you decide! Hi Hasen, I recommend you pick one and redirect the other. Some people will look just for website hosting and don’t care about the brand, but search engines might show you 5 similar websitehosting domains and the client might choose a different one instead. With a “branded” name like galaxyhosting, it could be easier to spot on the list of hosting names. So how do you feel about hybrid names? Hi Muphet, you make some good points. It’s going to largely depend on how you source your traffic and the size of your marketing budget. “Website hosting” will be easier to market from an organic search perspective than “Galaxy hosting”. Of course, “website hosting” is extremely competitive and you’ll need a lot of time and resources, and quality content and backlinks, to rank for that phrase. It may be much easier to rank for “Galaxy hosting”, but if you don’t market that name, there won’t be a lot of people searching for that name, so it won’t matter if it “pops” out more in the SERPs. Alex, thanks for the insight into the sea of confusion that offers changing rules of engagement on an almost daily basis. If you could validate for me what I think I have read and re-read in your article and companion articles by outlining my current scenario. I have an enterprise SaaS solution for transcription industry that exceeds most of the security standards and requirements on top of being extremely flexible, robust and easily customizable. We have thought about ‘unique’ ‘cool’ names, however, do not have a strong (almost non-existent) marketing budget for branding, as we have spent a ton on development. I have a partner who thinks we would sound like everyone else if we utilize industry keywords or variants – he likes VaultFlow. My argument is there are multiple names available incorporating xyztranscription.com and transcriptionxyz.com. I say, as I think you point out, this has multiple benefits for our success. Do you agree? Hi Charlie, budget aside, you’ll want to think about how you are going to not only market, but produce your content. Keyword based domain names are only really effective if you are able to produce a high amount of content around the topic, and keep that content updated and current. If you are able to do this, then having keywords in your domain name can definitely be an advantage – it will also make it immediately obvious to your website visitors what you are about. Along those same lines, with an effective content marketing strategy and execution, you can get organic search traffic for your industry regardless of what your domain name is. You may want to think down the road on this one – as the larger you get, the more important your brand name will become, especially if you start attracting customers outside of organic search. Hi Alex, great and strong post! Do you suggest having a domain name with keywords that are part of a famous domain? Would I be forced to spend a lot on marketing to differentiate myself from the famous domain? For example. my domain will be bookingflight(dot)com. Does that mean that anyone who searches a phrase on Google that includes the word “booking” will include the ads for booking(dot)com? Of course since it’s a very famous domain, my ads will be after booking(dot)com and to be before booking(dot)com I’d need to make ad campaigns with higher bids than booking(dot)com! Which I can’t. In other words, is having a domain name with keywords similar to a famous domain name a good idea or does it really matter? Or could I potentially get some benefits from it because my domain would be easy for others to remember and it’s close to another famous domain? Please help me with your recommendation. Having a domain name with keywords similar to a popular domain name is not a problem, assuming there’s no legal (trademark) conflict. As I mention in the article, content marketing requires strong content, not just good keywords. Even in the paid advertising space, the keywords in your domain don’t play as large a role as other factors, such as the power and ad budgets of your competitors, their margins compared to yours, etc. There are many things to consider, you’ll want to focus on these variables before the keywords in the domain. Good luck! Hi Alex, I know this is an older post so I’ll be surprised to get a reply – but will ask anyway 🙂 My site, which I’m planning to launch at the end of the month is 5am-club(dot)com. I love the name and 5am club is trending more and more, but the sites that use it are massive, and very popular. I’m wondering if it’s worth tackling them on the keywords “5am Club” (currently around 1300 and 3600/month on the Google keyword planner) or even aiming at the “how to wake up early” words getting 22,200 hits. The Yoast plugin suggests putting keywords in the posts, but I can’t decide on my top keywords. Any tips? Should I focus on 5am club like in my domain or go for the broader hits? Or anything else? I plan to provide tons of quality content and the monetization strategy is primarily in affiliate links. It looks like you have the knowledge to be dangerous in this industry! Now it’s just going to take patience and lots of quality content and smart marketing to penetrate that space. While I can’t go in-depth on keyword research consulting for free, I would say dig more into the Adwords Keyword Planner data and find related terms that your audience might be looking for. Then make a plan of action as far as a grouping of articles goes, how they might interrelate, how you plan on marketing them, etc. A content marketing strategy doesn’t just involve churning out posts based on keyword data, you want to think about how they will fit into your overall website strategy and how they will provide real value to your reader base. I wondered if you could help! My current domain is naturalbornfoodie(dot)com and I love the name. It’s about healing with natural foods and nutrition. I have been reading about a USP in your niche which I want the blog to focus more on detoxing naturally with food, nutrients to improve health. I will be qualified nutritionist in one year and am interested in detoxification. Does this domain make sense if talking about detoxing naturally with nutrition. I’m no sure if I’m overthinking it! I would recommend against this, as most of your visitors will probably by typing “and.” I would opt for a variant that does not including a misspelling. Many thanks Alex for your useful response. Actually, I tried to go for mindandbody and soulandbody but unfortunately they have already been taken. So I will go for selfandbody since I don’t want to sacrifice the word “body” from none of the above. However, I’m not sure if “self” will leave the same impact (meaning) in the mind of the native English speaker as the word “soul” or not? Hmm, that’s a tough one. To me “self” works quite well, but I’m also really into yoga and am probably interpreting it differently than the average reader. I think mind and soul probably makes a lot more sense. I’d be afraid that self could be misinterpreted. Many thanks Alex! You are right of course but what can I do. I think it will be better if I go for a brand URL name than a keyword one. Hello Everyone, my current domain is krreddy(dot)in but I am planning on moving all my content to mydirtytalks(dot)com, is this a good idea? Krreddy(dot)in is about tech news, making money and coupons. Hi Rajendra, are you asking if it’s a good idea from a branding perspective or from an SEO perspective? I would say your new option sounds more like an adult site then a tech news site. Your current domain doesn’t suggest anything in particular. Is Krreddy an acronym? It looks like you made the decision to go with techiit.com in the interim. What was your thought process behind that selection? My wife is renaming her business. Her current business name is Murals by Morgan and the web domain is muralsbymorgan.com. She is changing her business name to Morgan Mural Studios. We are deciding between morganmurals.com and morganstudios.net (the .com version is already taken). We like the sophisticated connotation of “studios” (that was the reason for the name change in the first place) but going for a “.net” domain makes it feel less authoritative. morganmuralstudios.com is also a possibility but we ruled it out as being too long. I would actually vote for MorgansMurals.com (plural) if that’s available, since it flows better/ makes more grammatical sense. You’ll probably also want to get MorganMurals.com (singular) and redirect it to cover your bases. Lastly, I do not think MorganMuralStudios.com is too long if you decide to go with that – there’s an added advantage to a domain name that reflects the business name verbatim, as some customers will type that in if they don’t know the URL off hand. Again, I would grab all of them and redirect your secondary options to the main one using a 301 redirect. Checked out Morgan’s artwork – it’s fantastic! I wish her continued success. I think that short-term, it makes sense to include the keyword you are targeting in the domain name you choose. This means however (especially since the EMD update) that you should limit the amount of on-page SEO that you are doing to keep from triggering an over-optimization penalty. The other side of this is of course, you are looking to build a brand, at which point having the keyword in your URL doesn’t make as much sense (unless of course it is part of your brand name). It’s really a matter of your business model: Are you more concerned with ranking quickly on Google for your keywords or are you more focused on building a brand around your business? I have to read it carefully once again to implement it. Wonderful post. Hello guys, I’ve read all the comments and I don’t agree that Google doesn’t like domains that reach same destination. Over the past 5 years I have made 50+ domains with the same destination and mostly ranked very well on competitors keywords. Imagine if your business (or website) is called “Acme“, but somebody else holds that domain name. Instead, you have some obscure domain name called, say, “mybusiness.com“. What happens when your customers, recalling that Acme has a product they want, type “acme.com“? They’ll end up at your competitor’s website. One lost sale. Hi, Master. Now I am building a website, my product is swimsuits, and now I have prepared 2 domain names, one is the girlsswimwearsale.com, which has a traffic volume of 1000/month I checked the Google key words, and the other is swimsuitspace.com that I came up with by myself. Now, the first domain is a little longer, and the second one seems not so popular, I do not know which is better. Appreciate if you can give some suggestion. Hi Gerry, great question. In your situation I would opt for the second option, SwimsuitSpace.com. The meaning is a lot more clear, it’s shorter and easier to understand, and you will have an easier time branding this name with your customer base. Typically keyword-based domain names are only worthwhile if they also follow the guidelines I just mentioned and if the keyword count is significantly high (5,000 or more exact searches per month). GirlsSwimwearSale.com is not only a mouthful but the grammar is a bit confusing as well, and the length may make it more subject to typos. The key is to choose a domain name that reflects your mission statement and not just the surface products you are offering. In this case, “coolstyles.com” or “blackdesigns.com” may be more suitable; because you are really selling fashion, and though your products change you will always be selling fashion. So core competencies should always directly influence a domain name. Think about your business in two, five, and ten years. Imagine the different ways you may evolve or move to a different track entirely. Then sit down and start coming up with some domain names that tell consumers what you are really about. I suspect this also makes it a lot easier to come up with brief, effective names that aren’t a chore to type in or read in one long line of text. The second part of the formula is connotation, and I would say that this is far trickier to master (and so is one reason marketing consultants get paid the big bucks for doing that priceless activity, thinking). You don’t only want your domain name to reflect your true core competencies; you also want it to feel right to consumers and viewers. And as nebulous as this “feeling” is, it is also one of the most important parts of your domain name. It is one reason that Google and Amazon have such successful, memorable names. Twitter didn’t start as Twitter – it was, originally, more like twtr or something else that looked too strange to pronounce. Likewise, Google stuck because it leant a personable, slightly humorous tone to a variety of online service, while bringing to mind boggle, giggle, goggle, oodle, and similar positive words. When all else fails, I would say go for simplicity. Aim for a few syllables, max, and try to make it something that easily relates to your business vision. The more successful you become, the more you can make a flexible name your own, creating a brand from the bottom up. The more you try to include keywords, the less flexible the name will be, and that can be dangerous. Better to choose one universal keyword than try to cram too many irrelevant words in one name. Overall, the article did contain helpful gems of information about domain names, such as what Google algorithms look for and the algorithm update processes, as well as regulations regarding domain names in Yahoo!, and so forth. The fact that MSN, rather than Bing, was listed sort of dates the article, as well as the fact that the newest Google update discussed was from 2003. There also could be more substance in the article, as I felt some of the things talked about were not followed up on satisfactorily. The main points of the article were presented in the last paragraph when they would have been better-received if they were listed first and then expanded upon. This is the sort of article organization that is standard for essays. 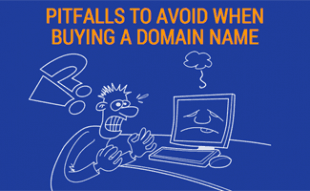 If you need advice about naming your domain, however, this article is a good place to start. When I heard this question posed, I had to laugh a little bit in retrospect. I have worked in marketing for over a decade and it is funny how synonymous naming a business and naming a website domain name have become. The challenges are essentially the same. You want a name that will not only readily reflect what it is that you do (See: Tires Plus, Petsmart, etc.) but also be memorable enough to make you stand out and stay on top of the customers’ minds. The latter part of this equation is obviously trickier than the former part and I am relieved to hear that having keywords simply plunked right in the middle of a domain name does not have more effect than it does in common web search engines. Taking that approach of cramming words in to the domain just seems like such a ham-handed approach to getting your business found and recognized via search results. I think that it insults the real talent and inspiration it takes to create an entire business concept that can truly be special in service and in brand. The real inspired names for businesses and web site domain names should be either directly related to the name of the store or business itself or it should be a brand-able word or phrase that can come to mean what it is you are selling. It should also be easily communicated from one person to another by the means which are most prevalent today. Nothing can be more frustrating or challenging than trying to remember an extraordinarily long and complicated domain name or email address. A single word or several word phrase should be as long as they get in either case, otherwise you run the risk of losing potential visitors because they cannot remember your address. Lastly, the name of your business or domain name should make an impression. If you have a fun and energetic corporate culture and atmosphere to your business, that should be reflected in the titling of everything you do including the name of your company. Be careful with getting too creative though, best to always speak to as large an audience as possible and some do not get as clever as others. So as I said before, I am glad undue weight is generally not given to keywords crammed into the domain name of its respective business. It can be annoying enough when they are shoehorned into the content of a website as it is; we definitely do not to be force fed it any more than necessary. Google seems like they are especially cognizant of this and seeing as they are basically the kings of web search right now, I’m sure others will continue to follow suit to a degree. I love the internet and e-commerce, it has changed the world we work and live in. But it has not changed some of the more basic tenets of business, and a good name cannot be faked. I was really intrigued and encouraged about the fact that Google continuously re-formulates their algorithm for web search functionality. As a marketing professional and a child of the information aged, I am fully aware of how endless a frontier the web still is for marketers to communicate with their targeted audiences. The internet has been a revenue pumping pipeline for well over two decades now and when it finally became mainstream all those years ago, it completely changed the game of advertising and commerce. The essential rules have remained, and will always be the same; offer a good product or service, treat your customers well, offer value in your marketing message, and then just hit as many people as you can over the head with your message again and again and again. What the internet changed was it basically broke down all barriers to marketing and reduced the limitations of advertising by way of making the audience less anonymous than ever and using that mined data to more systematically advertise and convert target markets directly into market share. Reducing limitations realistically meant anyone could reach vastly more people with far less investment and because so much of advertising is formulaic anyway and the internet is one big mathematic equation of sorts, if you can figure out the right mix of factors, a marketing campaign can become explosively effective. This is where Google comes in to play. Everyone knows they are the biggest kid on the block in terms of web search market share and economics, and if you own a business or an online storefront, you know the best real estate in the world you can own is at the top of the Google search page with the results of what your customers are looking for. You can of course pay Google to be there, in the form of pay per click or pay per view advertisements, but they do not look the same and people are apprehensive about sponsored links. The far more desirable location is to come up organically in the search results and be ahead of everyone else. Therefore, understanding how Google determines who does show up and when becomes very valuable information to have indeed. Over time, people have invariably cracked the code and devised methods to “cheat” the algorithm and climbed the ranks of Google searched websites even though their popularity or relevance may not necessarily have earned them that honor. I think in the name of fair competition and business ethics, it is impressive that Google continues to spend money and resources protecting the integrity of their algorithm and their service. The question needs be asked, what if they did not? Then the internet as we know it would be even more difficult to navigate, and the only messages we would see would be backed by even more money than they already are. The first point made is that having keywords in the domain name not only depends on how search engines treat the keywords in the domain name, but on ‘a company’s advertising budget and other factors’. What sort of advice is this? If having keyword-stuffed domain name is low-budget, why would anyone do it? In this instance, ‘low-budget’ seems to equal ‘cheap’. And people can always tell when something is done the ‘cheap’ way. Plus, you have to wonder whether an advertising budget really makes a difference, since surely there are businesses or brands out there with large budgets that might still benefit from having domain name keywords, or those with small budgets that want to do things a better way. Or am I just confused at this point? The shaky beginning immediately puts me in a distrustful mode as far as reliability of the author goes. Perhaps whoever is conveying the information in this article is well-versed in search engine optimization (SEO), yet not so much for marketing or advertising. Not only that, but the article contradicts itself several paragraphs later, when it states that Google, which owns the majority of the search engine market share, does not give any more preference to keywords listed within the domain name. Therefore, low-budget or not, stuffing your domain name with keywords is spending extra money for no reason, right? There should definitely be an allusion to the keywords letting people know what the business is about in this section. Later, when the big reveal tells you this, the article should still have advised to not completely jam with keywords but maybe just have a few and a clever business name instead. I guess I just felt that there was not a hard enough line being drawn in answering the question about keywords in the domain name. The article might have done better in conveying the message to me if the authors had chosen a position on whether keyword stuffing was the best method and then drawn a hard line on that position. Certainly being able to defend a position, even if stating an opposing viewpoint and the merits of it, would have given the author additional credibility. The author seems to present you now with a resounding answer of, ‘Maybe’. The rest of the paragraph makes it seem like keyword stuffing is a bad idea, too. Yahoo filters out keyword-stuffed domain names because it sees them as ‘spam sites’ or sites with low-quality content, although apparently MSN allows these. Therefore it would seem obvious why MSN is not the most reliable search engine on the market, and furthermore that putting a bunch of keywords into your domain name makes your site seem low-quality. I think the article could have conveyed the message about understanding what a product is via the domain name in a simpler way. Perhaps some editing for content and readability, as well as diction choices would have been a good way to improve the article and make it seem more reliable. Interesting article. But I feel that domain names are not important, what is important is the quality of content and the frequency of updates. The era of keyword stuffed domains are now gone. I have a question which is a variation on this theme. We own a perfect keyword domain name for a popular product we sell but it is different from our company website domain name. This alternate domain name is highly searched and is the singular version of a competitor’s plural company name. At one point the competitor actually offered to buy it from us. We have created a site with the singular keyword domain name we own that is linked to our regular company website. We clearly state on the homepage for this alternate domain name who we are and show our products. Great question. The first thing I’d check is to see if the competitor has any kind of trademark right on the keywords. This could be a registered trademark, or a right based on history of use. If not, the keywords alone will not get you a lot of traffic. Especially after Google’s recent EMD (Exact Match Domain) update which reduced the power of keywords in the domain name. Depending on how competitive the keywords are, you would need to do quite a bit content creation and marketing to rank for those keywords. The other thing to consider, is whether users type the singular or plural version more. If you’re not careful, you may end up sending traffic to your competitor. Finally, if you’re making the switch purely for the keywords, it’s probably not a great idea. If your customers associate your existing company name with your brand, moving content to a separate domain could just create confusion. I hope that helps, please let us know what you decide to do! you can always create an alias for people to bookmark and use so they can access the site more quickly. I hope you don’t edit out this comment because people need to know that YOU ARE WRONG. Keyword rich domains ALWAYS have had the advantage in ALL search engines. It would be extremely difficult not to do so. While I am sure it can be done, the SE’s are no hurry to do it. I assure you. What ever gave you this idea anyway? Obviously your new to SEO or you would never have made such an ignorant statement. If you would like to know more about how the SE’s work, feel free to contact me. I won’t point my finger if you ask. But if you offer your expertise in such a public manner, make sure you know what your talking about, because I will point out when your wrong. I will also point out how being THAT WRONG is a sure sign of your lack of experience and knowledge. The #1 most important factor in ranking a website in the search engines is the domain name of the website. If the domain name is keyword rich (has the exact keyword your shooting for as the domain name) that’s half the battle. Example: OrlandoSeoConsultant.net is #1 for the key-phrase ‘Orlando SEO Consultant’. There are many other factors but this is half the battle. 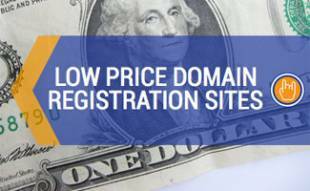 We identify and procure the best keyword rich domains for your business. We build them with your brand and use them to saturate the search engine results. This is a solid and accepted white hat technique. Exact keyword phrase as domain seemed to have worked. Its ranking can move downward but some days #1 on Google. K. Roberts: I’m not even sure how to reply to this. If you had made this comment back in 2002, it might have made some sense. However, search algorithms have come a far way since then. To insist that domain name keywords are “half the battle” as far as SEO is concerned is an ignorant statement. If that was the case, our life would be pretty simple. And then there’s the fact that you are cluttering our page with a blatant advertisement for your services, instead of providing useful content for our readers. In the SEO world, the only way to backup the talk, is to walk it. Let me provide an example. Alexa.com is the authority on public website traffic statistics. The higher your ranking on their site, the higher your website traffic. At the time of this writing, Facebook is #1, Google #2, and Youtube #3. What we urge our readers to do when selecting an SEO provider is to first check their traffic ranking. After all, if they’re so good at telling others how to get traffic to their sites, they should be able to “work the magic” on their own site as well, right? WeRockYourWeb.com (us) ranks #49,524 in the world, and #32,058 in the United States. OrlandoSEOConsultant.net (you) ranks #4,883,503 in the world, with a ranking so low in the U.S. that it’s not being registered. Unless you can provide constructive/ useful feedback that adds to the conversation, please don’t waste our time posting further on our website/ spamming our readers. Excellent tips. I’m just starting with domains. I’ll definitely employ some of the methods to get me started. Hi, After reading your blog article on whether or not to include keywords in a domain name I wondered how something like my name (as the brand) followed by what I do, for example jondoeengineering.com or jondoe-chef.com [ed: names changed to protect confidentiality] would be considered as keyword stuffing and whether the hyphen makes the situation worse? I would appreciate your thoughts. Great question. I wouldn’t worry too much about the search engines in your case. Unless you’re really “stuffing” a domain name full of keywords, you probably won’t have an issue with the examples below. Instead, I would focus on your user. A hyphen is more difficult not only to pass along on the phone, but for people to remember to type in. So we always prefer un-hyphenated (and .com extension) if possible. Bottom line, ask some friends/ coworkers and see what they think. The name should be easy for everyone to remember. Based on your specific examples, I would opt for JonDoeEngineering.com. Check out our article on choosing a domain name for more. Good luck, let us know what you decide on!